Nicholas Keane did not steal the cars but agreed to sell them. A FATHER OF eight who agreed to sell ten stolen cars for almost €90,000 on the Donedeal website is to be sentenced next May. Nicholas Keane (41) later told gardaí in interview that the operation gave him the chance to make money because he was behind on his maintenance. “I wanted to get money together to give my kids a good Christmas”, he said. He apologised for the crimes and said he felt bad for those that lost money. “I feel terrible, I feel guilty. If I won the lotto I would pay them all back”. Keane of Chapel Street, Balbriggan, Dublin, pleaded guilty at Dublin Circuit Criminal Court to ten counts of handling stolen vehicles and two charges of inducing another to purchase a stolen vehicle on dates between July and October 2016. He has a number of previous convictions including theft, stealing cars, road traffic and drug offences. Detective Garda William Saunderson told Pieter Le Vert BL, prosecuting, that he was satisfied that Keane’s role was to sell on the cars and that he was not responsible for stealing the vehicles. He was to get paid about €500 for each successful sale. Keane, who went under the name of David O’Brien, would meet the purchaser at a pre-arranged rendezvous, hand over the registration details and the car and accept the payment for the vehicle in cash. He took in a total of €88,795, which he told gardaí he then handed over to a man with “a foreign accent”. Det Gda Saunderson said that many people reported the vehicles as stolen to the gardaí themselves when they noticed discrepancies on the tax discs on the car. Keane met all of his potential customers in public areas around Dublin and, as he was not wearing a disguise, he was clearly captured on CCTV cameras. A number of victims, stated in victim impact reports before the court, how the financial loss they suffered greatly impacted on their lives. 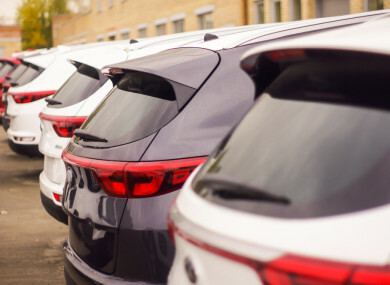 Most of the buyers had carried out vehicle checks on the cars before agreeing to buy them, with one man taking it to his local mechanic to be looked over. Many people bought the car with funds raised from life savings, while others borrowed cash or traded in old vehicles to complete the sale. One woman, who had borrowed money from her sister and credit union to buy a vehicle from Keane for €13,750, had to later borrow more money from the credit union to pay back her sister and buy a new car. The family was under extreme pressure as a result and she had to get another job to help back the debt. Another man, who had paid €9,500 for a car from Keane, worried about having enough income to pay his mortgage and was under so much stress that his long-term relationship broke down. This man and another victim, indicated that there was a need to have some sort of assistance in place to help compensate people who found themselves victims of such crimes. John Byrne BL, defending, said that Keane had worked on building sites but ran into financial difficulties while out of work and was lured into offending by the promise of easy money. Byrne said his client had no involvement with stealing the cars, but rather that he was “the front of house man”, the person “who dupes people into buying the cars”. He said Keane accepted a high degree of moral culpability and said he had no financial means to repay the victims. Judge Melanie Greally ordered a probation report and remanded Keane in custody. She adjourned the matter for finalisation on 28 May next. Email “Dublin man who sold 10 stolen cars on Donedeal 'wanted to give my kids a good Christmas'”. Feedback on “Dublin man who sold 10 stolen cars on Donedeal 'wanted to give my kids a good Christmas'”.